The climate cools down and you know it’s November. Woollen clothes are out from the wardrobe and the days get shorter. The pleasure of sipping a hot cup of tea during this weather is incomparable. So, book a flight ticket, and Go Ghoomne. Children’s Day gets the kid in us alive which is a lovely break in our monotonous schedule. This month also witnesses the celebration of Guru Nanak Jayanti, the birth of the first Sikh Guru. Vibrant nightlife, fabulous theme parks, breathtaking architecture, delectable cuisines and amazing wildlife make Singapore a popular getaway among globetrotters. 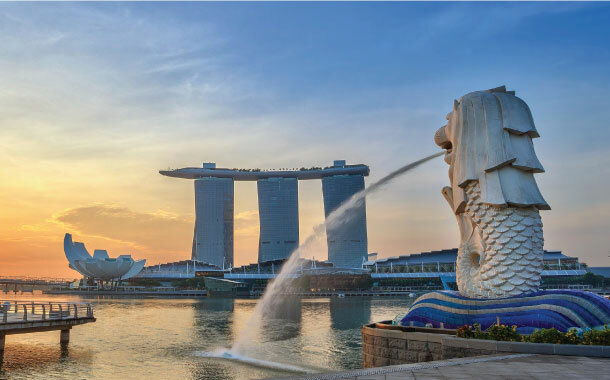 On your vacation to this incredible destination, you can include Sentosa Island, Gardens by the Bay and Merlion Park in your itinerary. You can explore the Botanic Gardens, capture shots of the wildlife at Singapore Zoo, enjoy a bird’s eye view from the Singapore Flyer, visit the Jurong Bird Park, experience tranquillity at the Buddha Tooth Relic Temple and indulge in adrenaline-pumping rides and attractions at the Universal Studios for a memorable holiday. 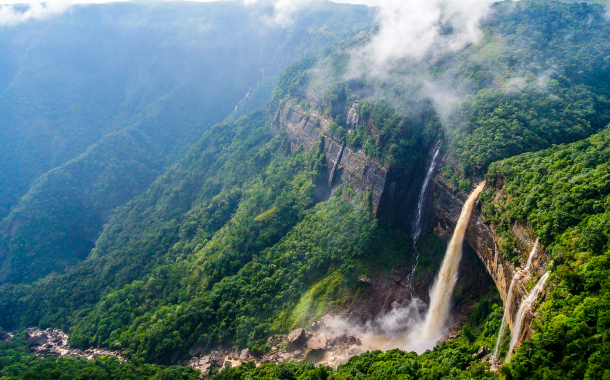 Natural caves, misty mountains, exotic culture and myriad of flora and fauna are the attributes that best define Cherrapunji. Popular attractions include Khasi Monoliths, Mawsmai Falls, Mawsmai Cave and Double Decker Living Root Bridge. While you holiday in Cherrapunji, you can visit the Thangkharang Park, soak in the stunning views of the region from the Mawkdok Dympep Valley, go to the Mawsmai Eco Park, capture the beauty of the Nohkalikai Falls through your lens and explore Cherrapunji like never before. 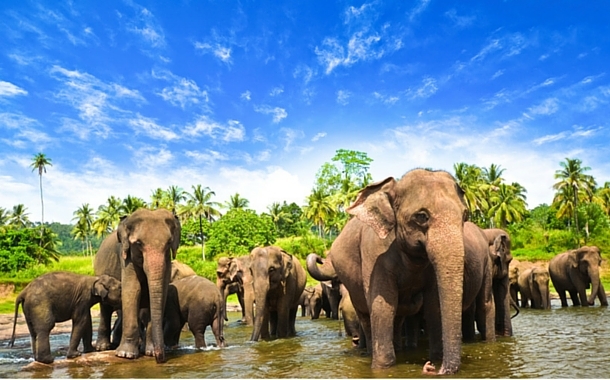 Sri Lanka, lying really close to India, is another interesting destination for you. The tropical climate, the beautiful beaches, the abundant nature around, all of it together makes Sri Lanka an incredible destination for anyone. A popular family holiday destination, the glamorous city of Dubai is known for high-rises, desert safari, beautiful beaches and theme parks. 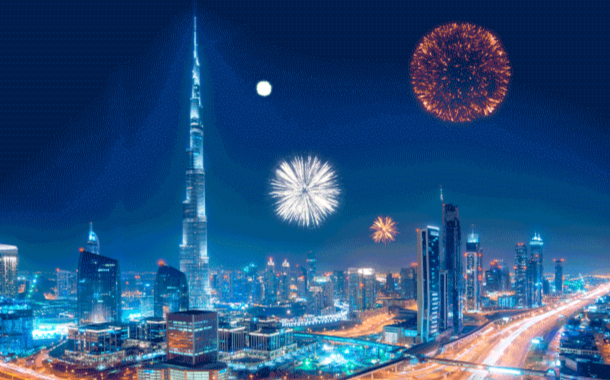 To celebrate the Festival of Lights, plan a trip to Dubai to indulge in fine dining, shopping, entertainment and more. Visit the Global Village, the multicultural festival park. Enjoy exhilarating rides and live shows and tantalise your palate with cuisines from Mexico, Cuba, the Gulf and more. Most importantly, don’t forget to visit the floating market on the lake for an unforgettable culinary experience. 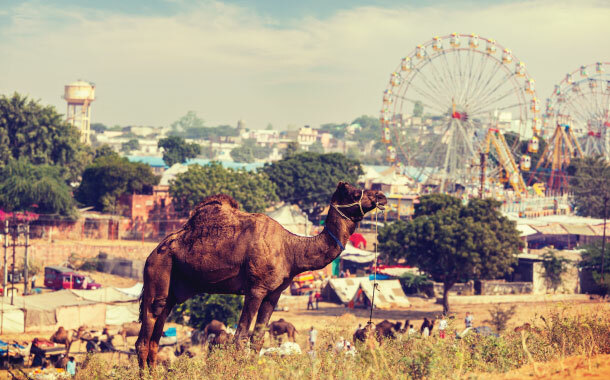 Ever experienced the vibrant Pushkar Fair? Well, it is celebrated during the holy Kartik month for seven days in Pushkar, Rajasthan. If unique exhibitions, mouth-watering cuisines and interesting competitions excite you, then be there in Pushkar from 15th November to 23rd Novermber, 2018. Capture shots of beautifully adorned camels and horses, locals decked up in colourful traditional Rajasthani attire and indulge in glamping and hot air balloon ride. Other popular attractions include Lake Foy Sagar, Taragarh Fort and Savitri Temple. 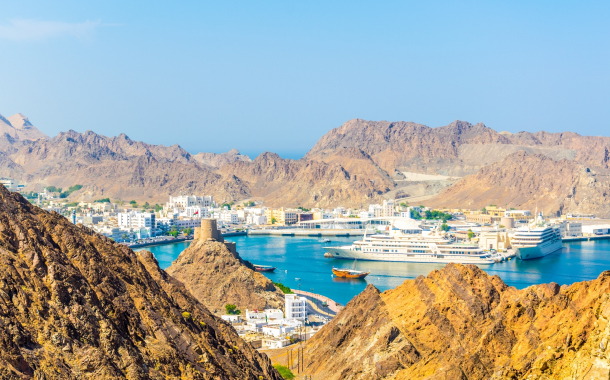 Oman is a perfect romantic getaway for couples looking for breathtaking architecture, historic forts and picturesque desert. Some of the popular attractions include Bahla Fort, Wadi Dayqah Dam, Wahiba Sands and Masirah Island. Activities that you can indulge with your loved one include a visit to the turtle reserve at Ras al Jinz, diving in turquoise waters of Salalah, hiking in Jebel Akhdar and cruising over the narrow peninsular inlets in Musandam. 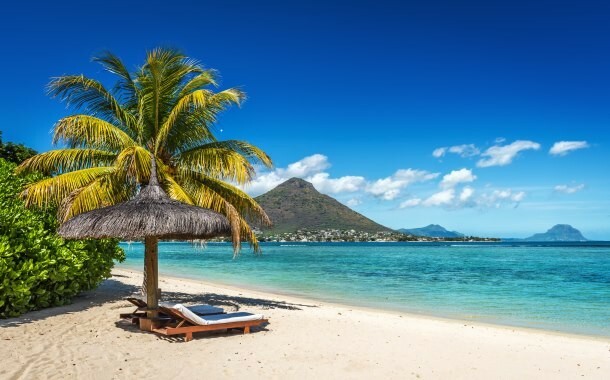 Nothing attracts honeymooners like Mauritius, the surreal paradise on earth. From turquoise waters and adventure sports to amazing wildlife, you’ll find them all in Mauritius. On your holiday to this blue paradise, go island hopping with your sweetheart and indulge in adrenaline pumping activities which include snorkeling, scuba diving, parasailing and kayaking. Popular attractions that you can explore on your honeymoon include the Black River Gorges National Park, Seven Coloured Earths, Chamarel Waterfall and Île Plate Island. 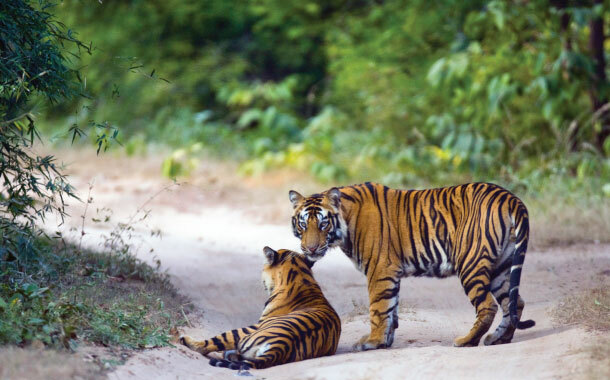 One of the popular wildlife destinations, Sundarbans attracts adventure enthusiasts from across the globe. Glimpses of myriad wildlife make Sundarbans a photographer’s paradise. A UNESCO World Heritage Site, this place is home to the world's largest coastal mangrove forest. Capture pictures of the incredible wildlife like the Bengal Tiger, Spotted Deer, Rhesus Macaque, Hermit Crab, Crocodile, Ridley Sea Turtle, King Cobra and flowers like Genwa, Kankara, Khalsi and many more. Splendid landscapes, nature reserves and watersports of Sharjah make it a popular destination for ecotourism and adventure activities. 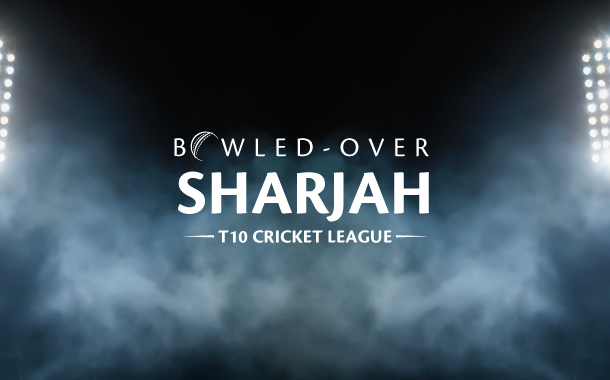 All you cricket lovers, be there in Sharjah in November for the exciting Season 2 of the T10 Cricket League. Witness the LIVE game at the Sharjah Cricket Stadium and enjoy the epic clash between the 8 powerful teams - Kerala Kings, Punjab Legends, Maratha Arabians, Bengal Tigers, Rajputs, Pakhtoons, Karachians and Northern Warriors. Expect Bollywood and Lollywood celebrities from India, Sri Lanka and Pakistan. Other attractions of Sharjah include the Rain Room, Mleiha and the Sharjah Classic Cars Museum.